The Vermilion County Coroner has released the name of a man who was shot to death in Danville last month. Coroner Jane McFadden says the victim of the August 24th, 2018 shooting was 43-year-old Shawn David Mullins of Danville. Danville Police and Firefighters found Mullins dead in his vehicle which had run off the road and into a ditch in the area of Fairchild and Fowler Streets. The name of the victim had been withheld pending notification of family members. Coroner McFadden says the family has been notified. Danville Police and the Coroner’s Office are continuing to investigate this case. 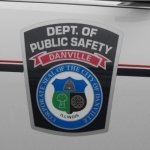 If you have any information that might help in that investigation you are asked to call Danville Police…or call Vermilion County Crime Stoppers at (217) 446-TIPS.